We had such a good time on our weekend to New Brunswick. Our home base was in Saint John, the largest city in New Brunswick and the second largest city after Halifax, in the Maritime provinces. Saint John is also the only city on the Bay of Fundy. 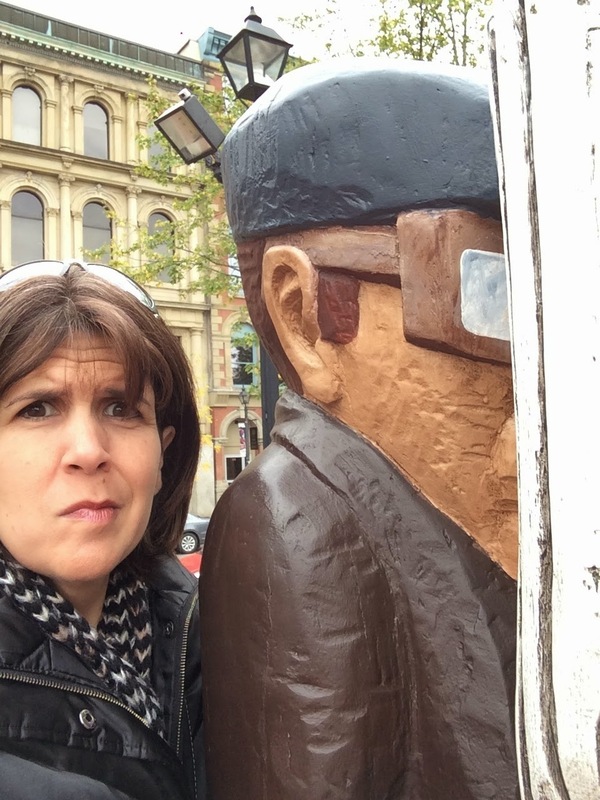 Saint John has a fun, vibrant uptown, peppered with street art that makes for fun photo ops. 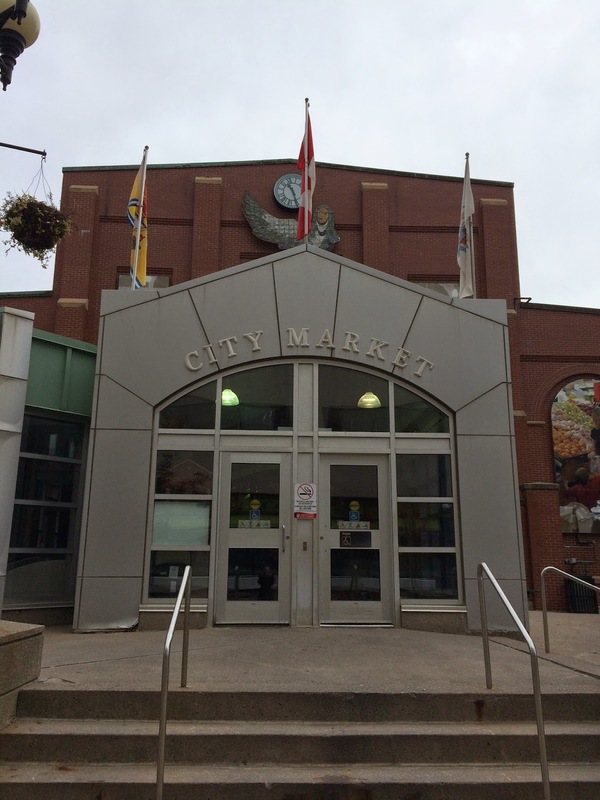 The City Market is the oldest continuing farmers' market in Canada, dating back to the late 1700s. The current building, completed in 1876, has a roof that resembles an inverted ship's keel. Made of wooden trusses, the structure was reportedly built by unemployed ship carpenters of the day. Over 440 painted butterflies were done by students in 32 area schools. 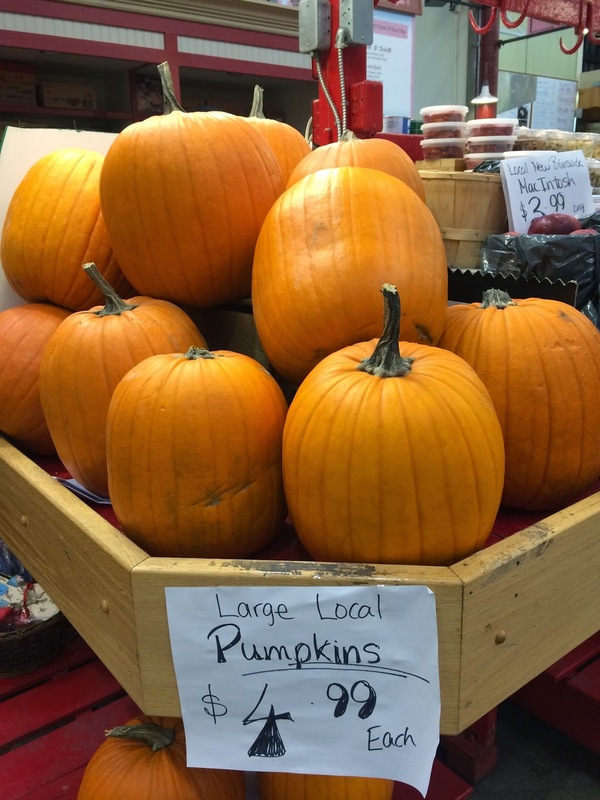 They will be sold and proceeds donated to local food banks. 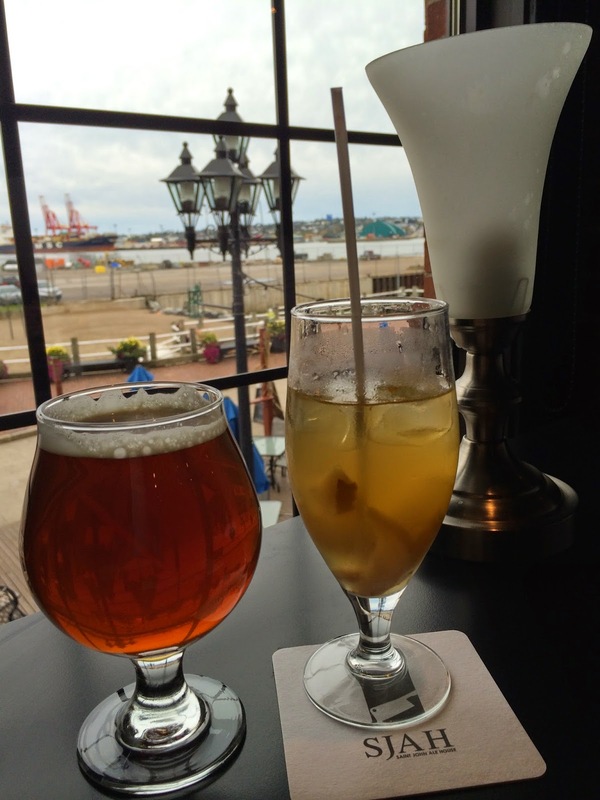 Market Square, on the waterfront, is the home the New Brunswick Museum, the largest library in the region, and a number of popular restaurants and pubs, like the Saint John Ale House, where my husband continued his quest for the perfect beer. Another place to visit in Saint John is the Reversing Falls, a series of rapids on the Saint John River, in which the river runs through a gorge before emptying into the Bay of Fundy. The rapids, or "falls", are created by a series of underwater ledges which roll the water in either direction. There are seasonal jet boat rides on the river and various lookout points; however, the boats do not operate through roughest patches, which can see a ten foot drop in some areas. It is recommended that visitors see the rapids at both high tide and at low tide. 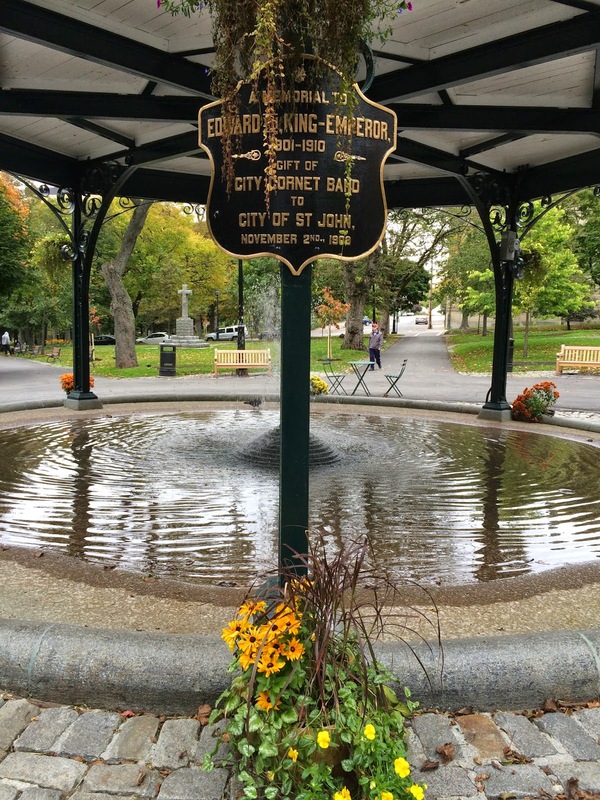 Saint John has cute uptown parks and outdoor spaces, like this one at King's Square. Saint John was a fun destination for a long weekend getaway. It's proximity to Moncton and the Bay of Fundy National Park make it an ideal location. 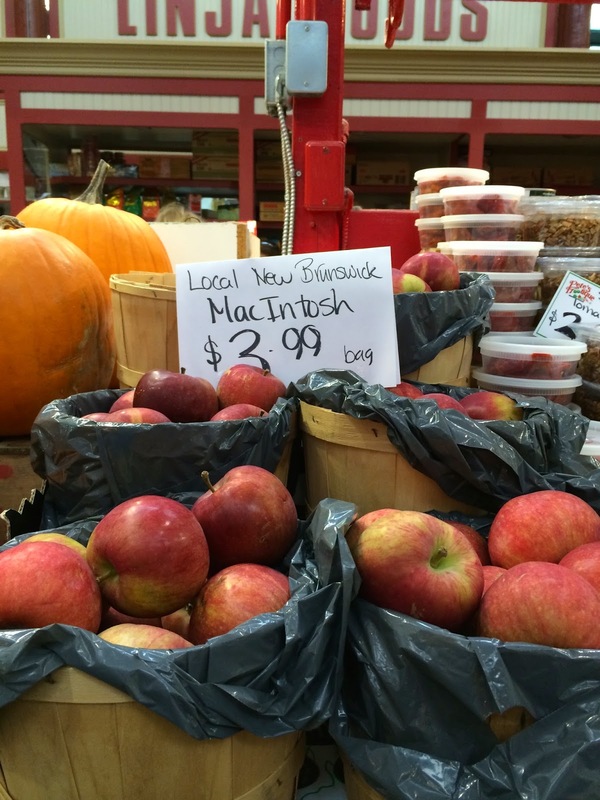 Have you ever been to Saint John? Where are your favorite spots? I visited Saint John a couple of years ago and loved it! Such a gorgeous place (although I could do without the humidity!!!). It was damp, but we anticipated cooler air, so we were dressed for it. I'll bet it's a lot of fun in the summer. Thank you for stopping by! Looks like a fun trip and a place I need to put on our list! It was a great trip and definitely worth a weekend getaway. Thank you for stopping by, Carol. It's true, Katrina. I have noticed the same thing. Those coastal cities are fabulous, in general. I hope you get the chance to go someday. Thank you for stopping by! Hi Kelly, I've never been, but I am enjoying your travel stories immensely, and your photo shots too! 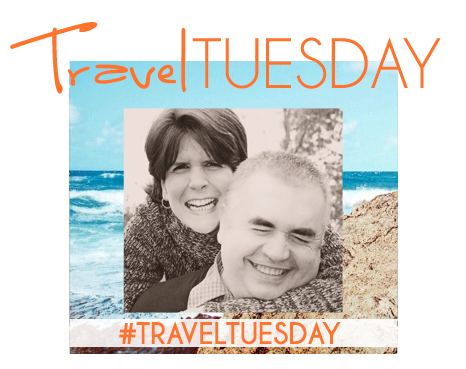 Loving all of your travel posts - your photos have all been beautiful! This makes me want to travel more! I've never been to Canada, and would love to visit the northeast, especially this time of year! Canada has so many must-see destinations. And the northeast coastal cities are fabulous, in general. I hope you get the chance to go someday. Thank you for stopping by! I love New Brunswick as I have family in Fredericton and I've visited Saint John several times. The "Reversing Falls" has always been one of my favourite spots. We had a great time. I think I would like to go back in the summer as well. Canada has so many great places to explore. Thank you for stopping by! That "child" looks kinda creepy! Haha! 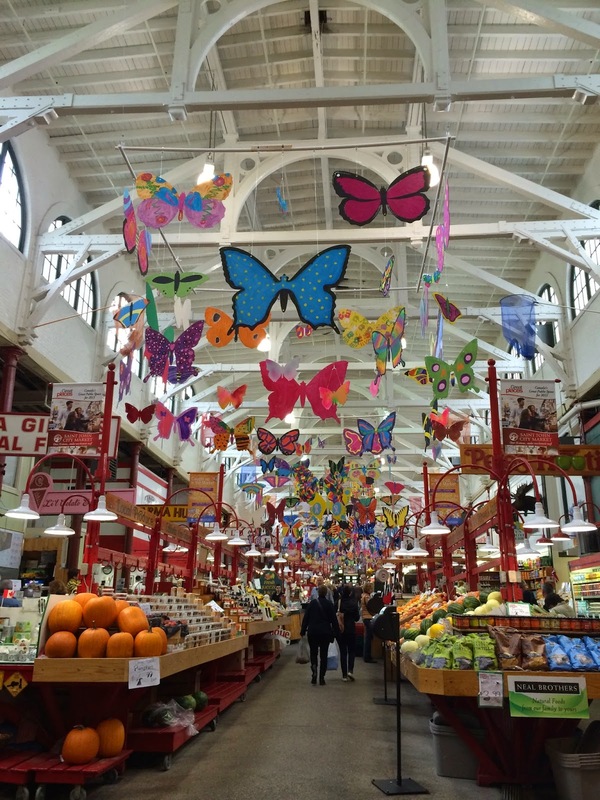 It looks beautiful there and the market looks so nice. 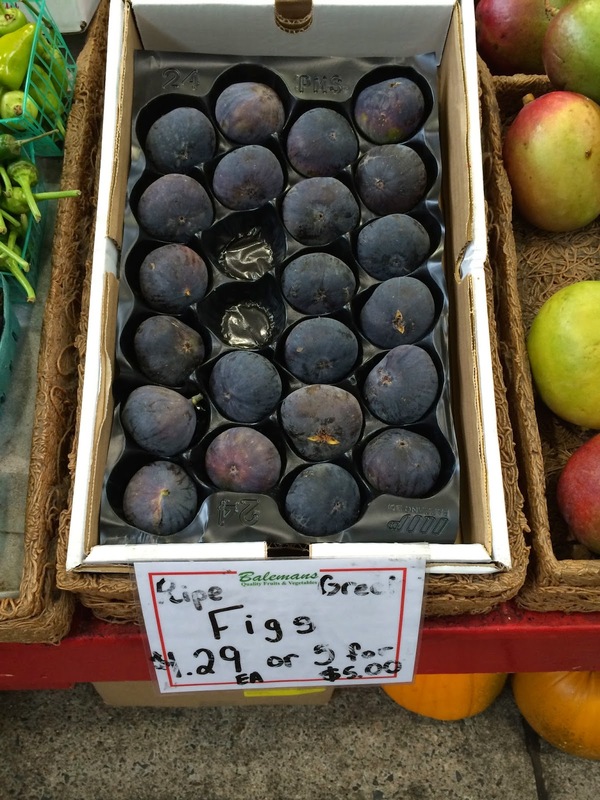 Is it just me or do the figs look like plums? Gla dyou had a great time! Creepy, indeed! It was beautiful. We had a great time. The figs do look like plums...just a different variety. New Brunswick and PEI are the only province/territories left for me to see in Canada. Will be referencing this when I tick those off my list next year! I'm so glad it was helpful, Shaun. Thank you for stopping by! 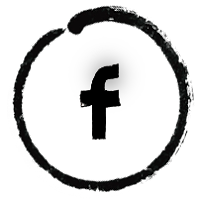 I look forward to exploring your blog. I thought I commented on this post but somehow I must have done something wrong. We saw St. John years ago for just one day on our way to Nova Scotia. I remember the quaint cobble-stone streets and the Reversing Falls, but I either didn't notice the whimsical art or it wasn't there yet. Nice photos! Thank you, Jolanta. We had a great weekend. Maybe the street art is a new installation? Fun though. Thank you for stopping by.